Here is the solution for this, credits to Mr. Chris. 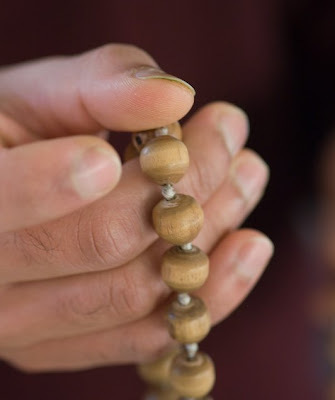 Hindu mantras are traditionally repeated 108 times, using mala beads to count the repetition. Shaivites traditionally count on rudraksha beads, whereas Vishnavites us beads made from the stems of the tulsi plant. The method is based on counting the segments of each finger, pointing at each with the thumb on the same hand. Start by touching the tips of the thumb and the little finger of both hands together. Chant the mantra, then move the thumb of the right hand to point to the middle segment of the little finger. Chant again then point to the base of the little finger. After the third chant move the thumb to the tip of the next finger, then continue counting the segments of each fingers in turn as shown in the “right hand” picture. Right hand counting (explained in text). 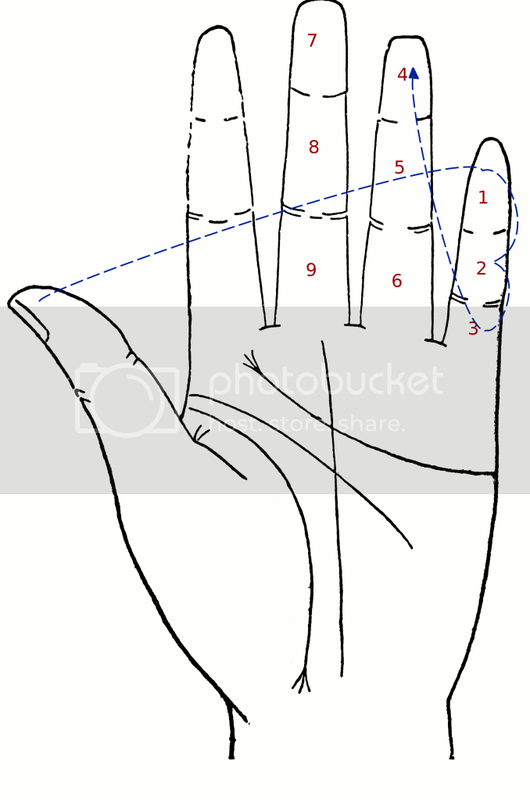 Continue in this way until you reach the base of the index finger on the right hand. This time after chanting the mantra point the thumb of the right hand finger back at the tip of the index finger, and move the thumb of the left hand to point to the second (middle) segment of the index finger. You will now have chanted the mantra 12 times. Continue counting with the right hand exactly as before. When you again reach the base of the index finger with your right hand thumb, again move the right hand thumb back to the tip of the index finger, and advance the thumb of the left hand to the base of the little finger. 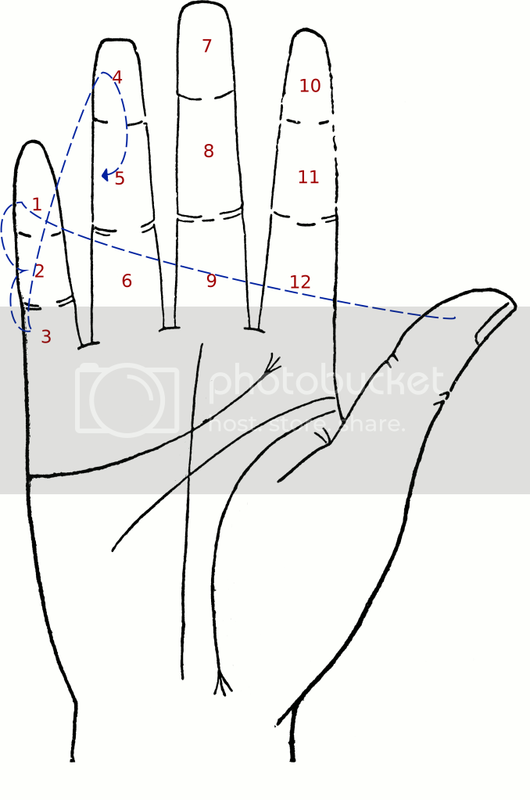 Continue in the same way, each time you finish counting on the right hand advancing the thumb of the left hand to the next finger/segment as shown in the left hand counting diagram. Left hand counting (explained in text). Each advance of the left thumb represents 12 repetitions of the mantra. When you reach the point with the right thumb on the base of the index finger and the left thumb at the base of the middle finger you have completed 9 counts of 12 = 108 repetitions. This is the point where the next move would logically be to move the left thumb to the tip of the left index finger. I cant see the image. Without seeing it...is very difficult to visualize.